Ecuador: Team Members Needed Now! Mission team members are needed by April 10 for a special VBS team to Ecuador on June 27 – July 5, 2015. SIFAT teams usually work with our graduates in Ecuador to build facilities for the after-school programs sponsored by Compassion International. These programs give children from very poor families, who would otherwise be on the streets when not in school, a safe place to learn and grow. For this team only, we have been asked by two Methodist churches to help with a VBS-style camp for Compassion-sponsored and neighborhood children in two different communities. Each high-energy camp will last three days and be led by Rev. Bill Etheridge of Aldersgate UMC in Huntsville, Ala. In Atucucho, where SIFAT teams built two daycare centers and a church, about 100-150 children are expected to participate at Agua de Vida UMC. 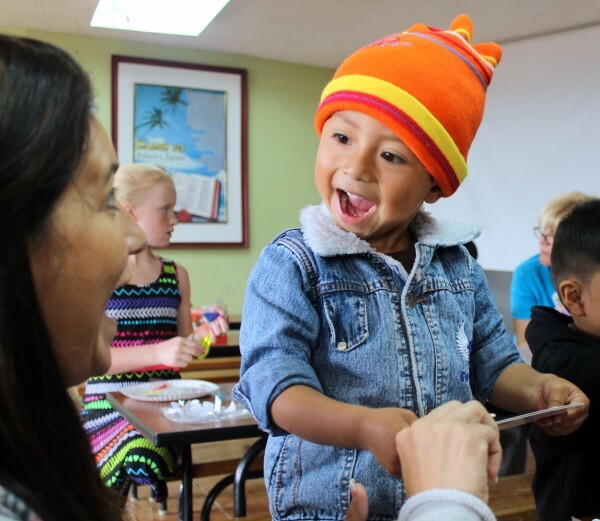 The other camp will be for about 200 children and held outside Quito in Chaquibamba at a Methodist project called Puerta de Esperanza (Door of Hope). Cost: $2050, including round-trip airfare. Leisure day activities include visiting the Middle of the World and having lunch at El Crater restaurant on the edge of an extinct volcano, as well as a day trip to zip-line in the Mindo cloud forest. If interested, contact Peggy Walker, international team coordinator, right away at internationalteams@sifat.org. Please include a short bio and contact information. Be part of a VBS-style camp for up to 350 children! Sign up before April 10 to be part of this special team!